The International Association of Culinary Professionals or IACP, (of which I am a member), held it's annual five day conference in Portland Oregon this past week. Portland was the host city for the IACP Conference 12 years ago, at a time when the Pacific Northwest was just beginning to attract attention as a gastronomic hub. Keynote speaker Ruth Reichl, the last editor-in-chief of Gourmet magazine before its closing, lead a line-up of notable luminaries including husband and wife authors Andrew Dornenburg and Karen Page, chef Brad Farmerie, author Madhur Jaffrey, cookbook editor Judith Jones, Lebanese market owner Kamal Mouzawak, chef Mario Navarrete, Jr., author Michael Ruhlman and New York Times food writer Kim Severson. 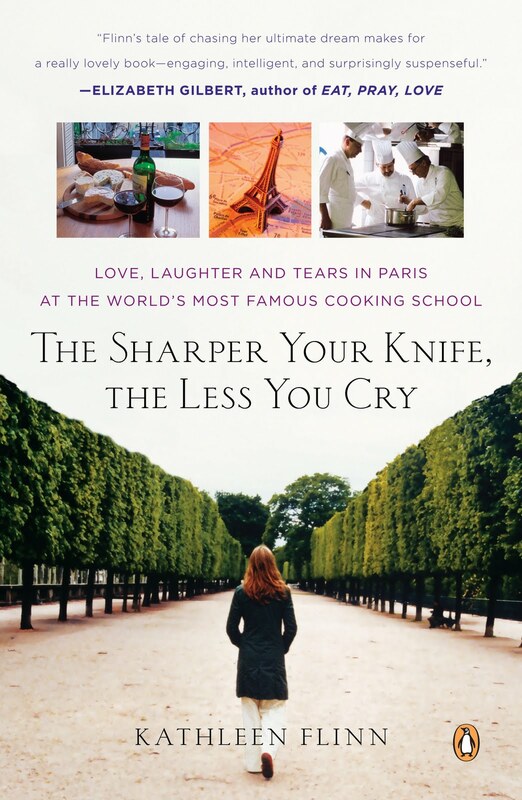 Among the noted colleagues were Matt Armendariz, photographer, founder, mattbites.com, and Kathleen Flinn, author of the famed book "The Sharper your Knife, the Less you Cry", and fellow Le Cordon Bleu alumni. It was good to see over 750 chefs, cookbook authors, food media, culinary instructors, food photographers and others who work in the food world convene in Portland, Oregon. While I was not able to see all of the offerings at the conference, it was nice to finally be able to shake the hands of some I have only been able to correspond with. I look forward to meeting more new members as well as seeing familiar faces at the next conference scheduled for June 2011 in Austin Texas. It is always great to visit the local farmers market. Recently, I made my way to my farmers market downtown and I was happy to see so many people supporting the market. Its good to see people taking an interest in the offerings from their community farmers. Some people will argue that prices are higher and that the variety of fruits and vegetables can be slim to none as compared to your local and often cheaper mega-mart. Granted, there is a little bit of a higher cost, but I can guarantee that the freshnesss is worth the extra few cents. As to the variety of offerings, well it is a "local" Farmers Market. 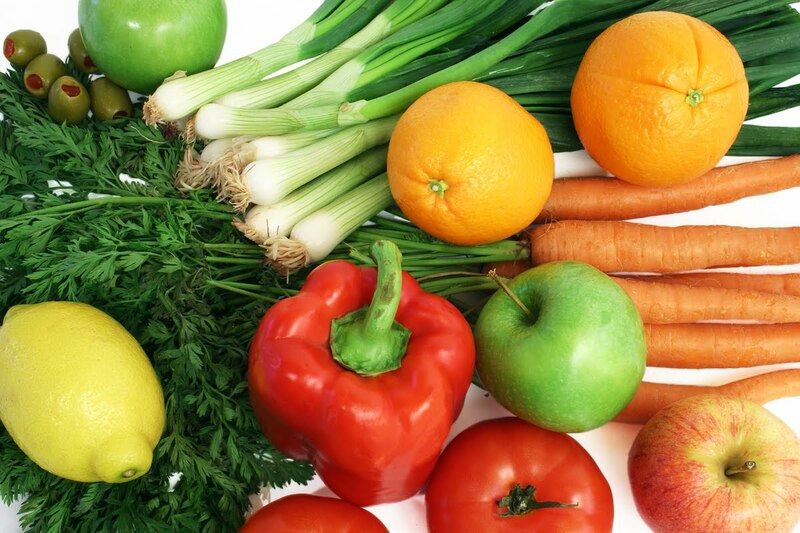 Your local area farmers may well have items that are only grown in your area. So, if your looking for let's say... avocados in North Dakota, it's most likely NOT going to show up in your area Farmers Market. Check with the local paper or community newsletter about Farmers Markets in your area. If there is not a local Market, then maybe this would be a great time to contact the town or city leadership and see if they would be interested in supporting one. Maybe with your efforts, the town square can one day become the center of getting to know your neighbors via a community market. Either way, Farmers Markets around the country are starting to see a rise in patrons, something that the European countries as well as most of the rest of the world already knew. Maybe we should take note. It's not often that one can take four simple ingredients and create something that can be used in so many foods. Mayonnaise, just the sound of it evokes a white delicate texture that can be mixed and used as a base for everything from ranch dressing to egg salad. It's not hard to make, despite what the makers of Kraft and Best Foods list on their labels. While making mayonnaise is not difficult, it is worth it if you want to control what you eat and what is added to your foods. Here is a list of ingredients that you will need. 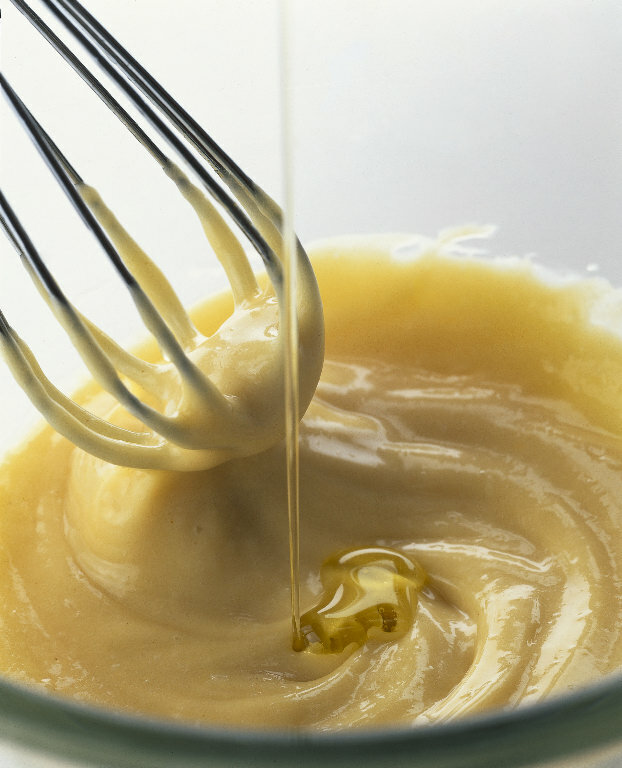 With a ballon wisk, wisk the yolk, mustard and lemon juice together until well blended and yolk lightens in color. 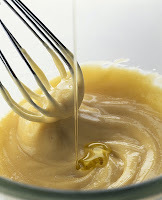 While whisking constantly, drizzle in the oil very slowly. Begin with just a drop or two at a time. Once you have added about half the oil, you can add it in a very thin stream. Keep whisking the entire time you are adding the oil. When finished, the mayonnaise will not be as thick as store bought mayonnaise. Let it sit, refrigerated, for at least half an hour. It should thicken up. Stir,and taste for seasoning. If necessary, whisk in a pinch of salt, sugar or a teaspoon or so of vinegar. Wait before tasting because it takes awhile for the salt to dissolve into all of the oil. This recipe gives you about a cup and a quarter of mayonnaise. Place the mayo into a cleaned and empty mayo jar, put a label on it and enjoy! When properly refrigerated, it can keep for about a week. Think of mayonnaise as a neutral spread to which you can add almost any sort of flavoring, depending on what you’re serving it with. You might leave it plain for a chicken salad sandwich spread, or maybe you’ll stir in some minced chipotles in adobo for a Mexican kick. How about lemon zest and dill to go with salmon? The possibilities are really only limited by your creativity and palate. The weather is starting to get better when you see the first spears of asparagus stalks start to show up on the produce shelf. I love the taste and the sweetness, yes, the sweetness, of these stalks of green goodness. When I was younger my love for these buds from the ground was about as low as the ground they emerge from. I was victim to the common mistake that most people did to asparagus, boiling them soooooo long that they turn into this grey-green pile of tastless mush. But times have changed and ideas have shifted to understanding that this stalk can go from green to culinary gold. One of the secrets is to roast them either on a grill or in the oven. When you roast them instead of boiling them, the spears start to release some of their moisture to concentrate the starch into sugar. Yum! Here is a good way to roast you next batch. Trim the woody ends from the asparagus, usually about 1 1/2 inches. Lightly peel the remaining stalks (not always necessary, but more of a personal preference). Spread the spears in a single layer on a baking sheet, drizzle with olive oil, sprinkle with the salt and pepper, and roll to coat thoroughly. Roast the asparagus until lightly browned and tender, about 8 to 10 minutes, giving the pan a good shake about halfway through to turn the asparagus. 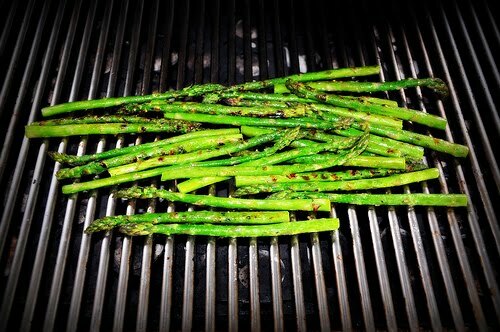 Arrange the roasted asparagus on a serving platter and top with some Parmesan. Serve warm or at room temperature.